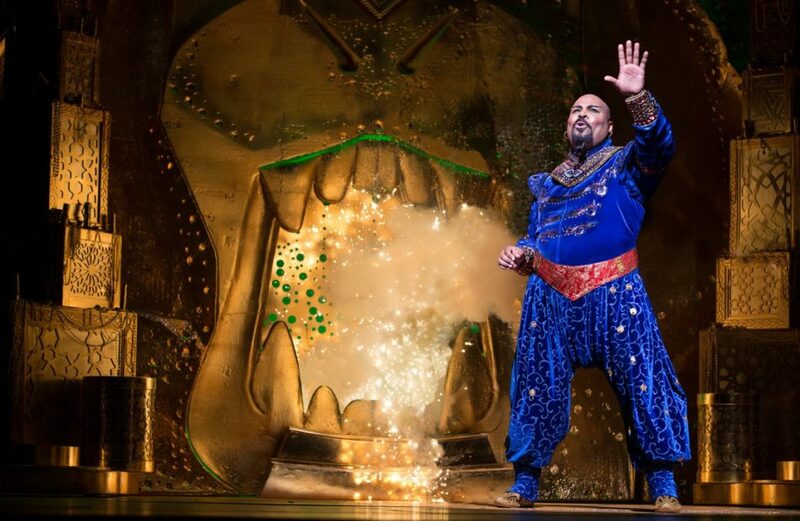 Aladdin's James Monroe Iglehart took home the 2014 Tony Award for Best Performance by an Actor in a Featured Role in a Musical, and he's still heating up Agrabah! Iglehart, title star Adam Jacobs and the cast of the shining, shimmering, splendid tuner performed a never-before-seen version of "Friend Like Me" on Good Morning America on December 13, and we're ready to hop on a magic carpet and head to the New Amsterdam Theatre. Of course, the powerhouse Iglehart threw a medley of beloved Disney songs into his performance, covering ground from The Lion King to Beauty and the Beast. Watch the fantastic cast take the stage below!